Filming has begun on Deadma Walking which won the 2nd Prize in the Screenplay division of the 2016 Carlos Palanca Memorial Awards for Literature, the most prestigious and longest-running literary writing competition in the Philippines. The story revolves around gay BFFs (best friends for life) John and Mark whose friendship is put to the test when one of them has a terminal illness and asks the other to help him stage his fake death, wake, and funeral as his dying wish. The result is a comedy of "deadly" proportions. At least two other industry stalwarts are fans of the award-winning screenplay. “It’s beautiful!” director/writer Mark Meily cheers. “I was looking for pitfalls to happen especially since it is about a man faking his death, pero wala. Very human yung mga events that they go through. Galing!" Starring in the laugh-out-loud film are Joross Gamboa and Edgar Allan Guzman, both fine actors with several awards under their belt. Joross was named Best New Male TV Personality at the 19th Star Awards for TV, Best TV Actor at the 23rd Star Awards for TV, and Best Supporting Actor for the film, Intoy Syokoy sa Kalye Marino at the 8th Cinemalaya Independent Film Festival. Edgar Allan, meanwhile, won Best Actor for Ligo Na U, Lapit Na Me at the 7th Cinemalaya Film Festival, the German Moreno Youth Award at the 2012 FAMAS, and Best Actor in a Comedy at the 2012 Golden Screen Awards. He also won the Gawad Buhay Best Actor and Aliw Awards Best Actor for his performance in the stage adaptation of the movie classic Bona. Deadma Walking presents Joross and Edgar Allan with one of the biggest acting challenges in their careers and promises to fully showcase their range and depth. 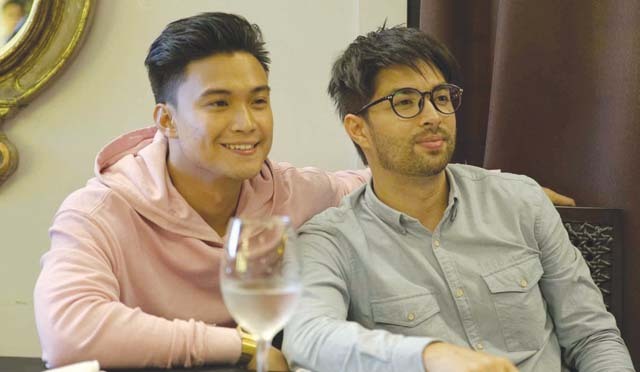 Directing the movie is industry veteran Julius Alfonso (Felix Manalo), a longtime assistant director for award-winning directors Joel Lamangan and Chris Martinez. The stellar production team also includes award-winning cinematographer Lee Briones (Baler, Tanging Yaman), production designer Angel Diesta (Die Beautiful), and editor Vanessa de Leon (Kimmy Dora, The Gifted). The movie is produced by T-Rex Productions, producer of the historical Ang Hapis at Himagsik ni Hermano Puli, and the comedy Patay Na Si Hesus which won the Audience Award at last year’s QCinema Film Festival. 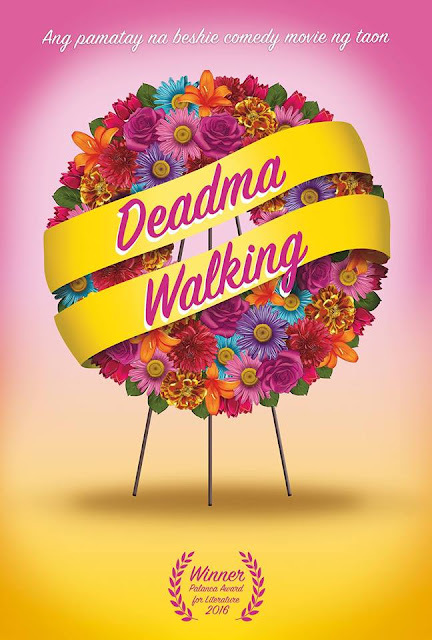 Fun, fierce, and fabulous, Deadma Walking will grace the big screens towards the end of 2017. Get ready for the "pamatay na beshie comedy movie ng taon."